Since he went there, I found myself wanting more depth on recounting his drug abuse and rehab. And while I wasn’t shocked or surprised by Allman’s experiences with women (lots of girls, lots of wives, etc.—it’s totally a boy’s club throughout the whole book), I would’ve appreciated more introspection here, too, especially on his six failed marriages, which he basically attributes to the wives all being crazy or expecting him to change. It doesn’t matter that the marriages ended, it happens, but I mean, who’s the common denominator here, bud? You’ll take no responsibility for what went down here? Just sayin’. One thing I made sure to do as I read the book was to listen to the albums he talked about. It was wonderful to have them as background to the stories, especially the early stuff—Idlewild South, At Fillmore East, Eat a Peach, Brothers and Sisters. My dad loves the Allman Brothers—Duane is his all-time favorite guitarist—so listening along brought back great memories of our shared love for music. I forgot how much about these albums and Duane I already knew thanks to my dad! Bottom line—not the most in-depth account of the history of the Allman Brothers, but a great, easy summer read after which you’ll feel like you just hung out with one of America’s living rock legends, which is pretty damn cool. ETA: Fun facts I just remembered to include—I share a birthday with Gregg Allman (Dec. 8) and I saw The Allman Brothers Band in Madison, Wisconsin, August 2000! Awesome. My Cross to Bear is my sixth of twelve books read for my Ebook Challenge. Read from June 29 to July 29, 2015. This entry was posted in activities, books and tagged 2015 ebook challenge, autobiography, blues, ebook, memoir, music, rock by kristin @ my little heart melodies. Bookmark the permalink. Oh I love rock memoirs. I saw this one but I havent read it yet. I also want to read Just Kids too. The Allman Bros Greatest Hits is an amazing CD that I play loud and often. Just been playing the audiobook of Graham Nash’s memoir Wild Tales which is another good one and read & reviewed Mick Fleetwood’s latest awhile back. Nash’s is a bit endless of the drug / alcohol abuse (aren’t all these books?) of Crosby. That’s a great idea of playing the albums Allman talks about as you go along thru the book. Although I hear Patti Smith has a new book coming out, my next rock memoir might be Chrissie Hynde’s which is coming out Sept. 8. I won’t miss it. Oh I love rock memoirs. The Allman Bros Greatest Hits CD is amazing and one I play loudly and often. That’s a good idea to listen to the albums as he talks about them & songs in the book. 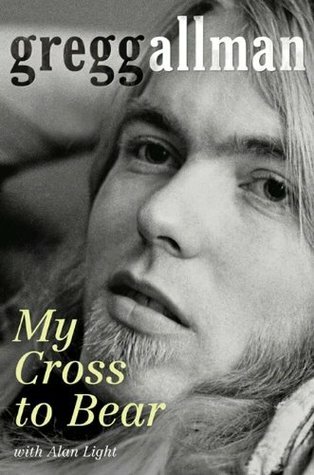 All the drug and alcohol abuse gets a bit much in rock memoirs but still the genius in Allman’s music & songs is undeniable.